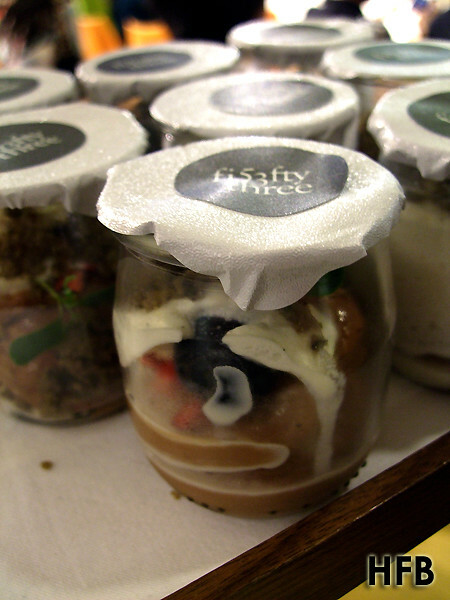 Serious foodies in Singapore would definitely have heard of Chef Michael Han and his escapade at world renowned restaurants such as The Fat Duck, L'Enclume, Anthony's and Mugaritz, before heading back to shore and collaborated with Les Amis Group to open FiftyThree at 53 Armenian Street. 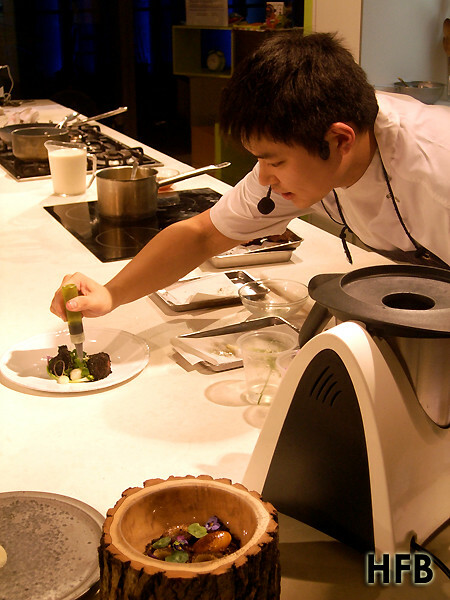 Combining the culinary art of molecular gastronomy and utilising fresh produces sourced from all over the world, HFB definitely considered Chef Michael Han to be one of the luminaries of modern European in Singapore. 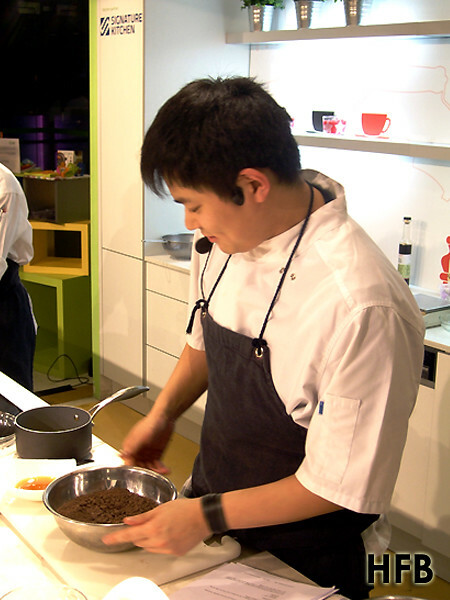 So when HFB first chanced that Chef Michael Han’s will be conducting DBS Masterclass at AFC Studio in July, he was really tempted to sign up for it – so one could imagine HFB’s delight when he was approached to cover the event. 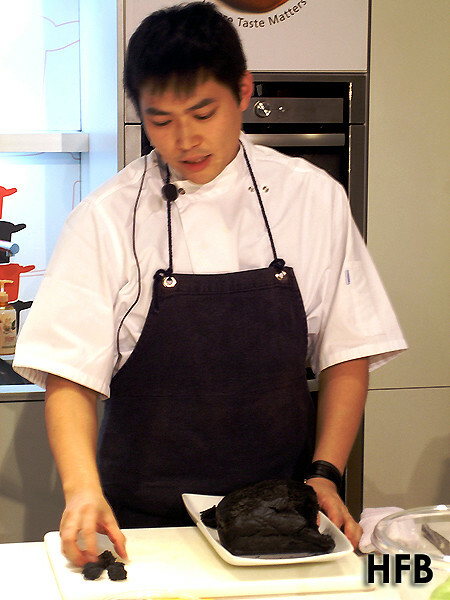 Chef Michael Han seemed really shy, and sometimes awkward in front of the class, but his dishes certainly did not show likewise. 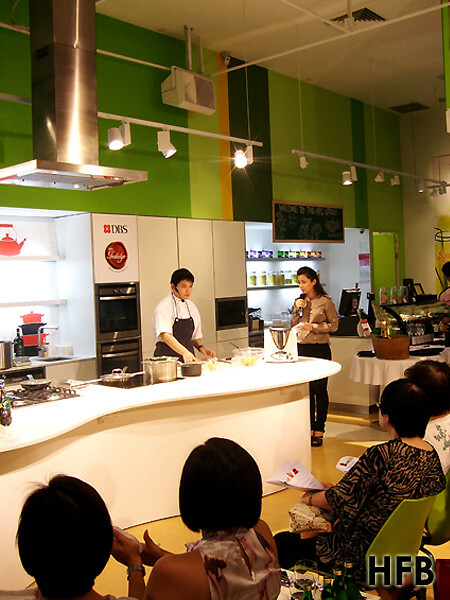 Having attended other Masterclasses prior to this, one could not fathom HFB’s thoughts when he briefly flipped through the recipes before the class started – “This cooking class is INDEED a MASTERclass!! !” Each of the three dishes came with really detailed (not forgetting complicated) and meticulous cooking methods and exotic ingredients and should in fact come with a disclaimer that says “Do not try (cooking) this at home”. 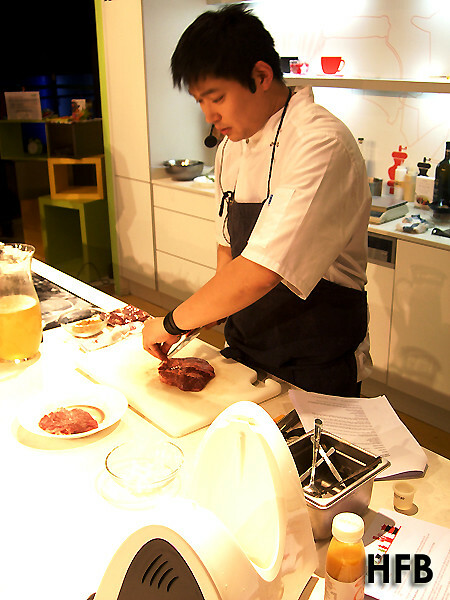 Since each of the 3 dishes are available in the restaurant, HFB says go to the restaurant and fork out the cash instead and leave the tedious prep work to the professionals. Yeah you heard it right! The reality is HFB had absolutely no idea what fanciful stuff Kohlrabi and Nasturtiums were in the Mud Crab and Kohlrabi, Apple and Nasturtiums dish that was first presented. It was only later on that he found out it was similar to a radish and watercress respectively, just more exotic and whimsical. Heh. What HFB thought was also interesting was that he used Charcoal Bread as his croutons (And HFB found out weeks later that even his local confectionary shops are churning them, and they are a hit with the aunties)! HFB really loved the contrasting texture of the kohlrabi and the crabmeat, and the vinaigrette added a nice acidity to the dish. 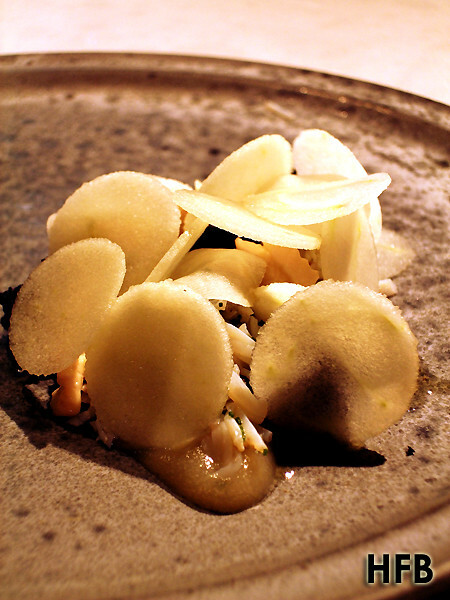 Carroll’s Heritage Potatoes in Soil was the dish that HFB really looked forward to that evening. 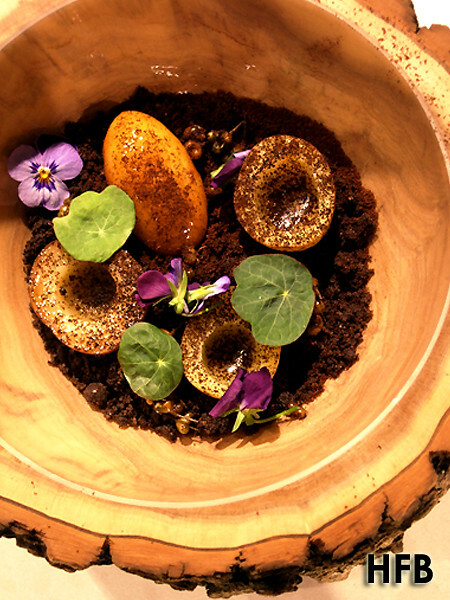 He has always been fascinated with edible soil, but had not come across one recipe that he thought was fascinating… until now. It helped that the whole dish was plated really beautifully, and the potatoes smoked with Hay (yes, those that your rabbit and hamster jumped around in) smelled really amazing! Anything beef cheek would mostly taste amazing, especially if it’s marinated for 3 days and cooked sous vide style for 40 hours (didn’t HFB not mentioned to leave the prep work to the professionals). 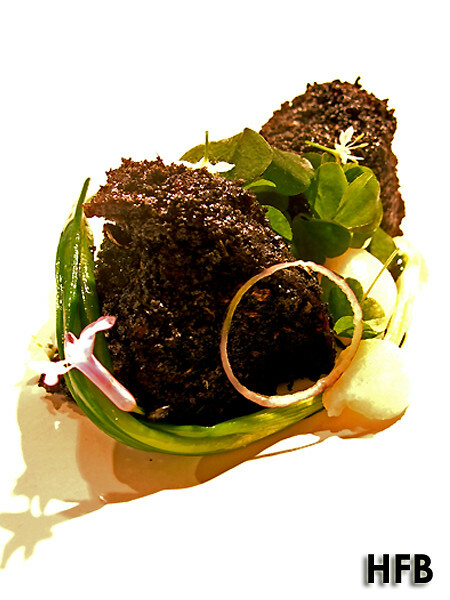 Made to resemble a rock, the Wagyu Beef Cheek and Alliums, Asian Pear and Wood Sorrel was coated with a layer of Ash Breadcrumbs that were also smoked with hay. 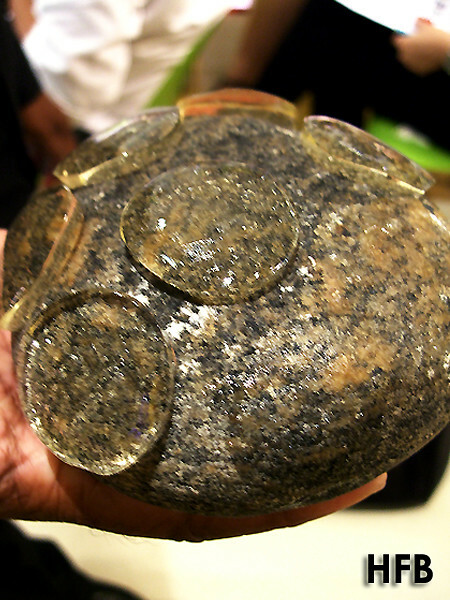 Doesn’t it bear a resemblance to the rocks found at your own backyard, except it’s the more atas version? Heh. HFB was also treated to a range of 'after meals' right after the classes. And notably, the Gin-Tonic Gum, that came served on a piece of stone (a real one this time), was really intense with alcohol but a tad too sticky for the fingers to handle. 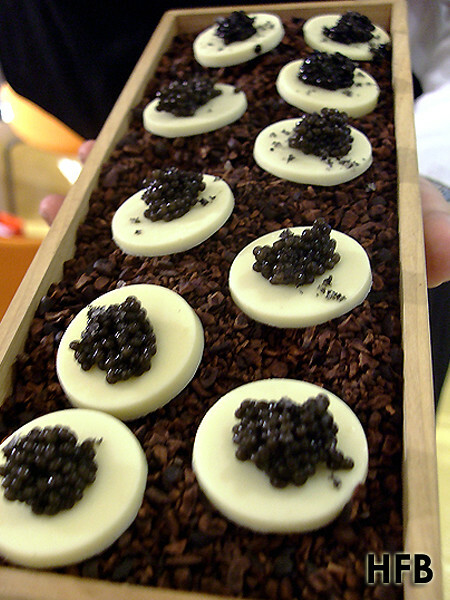 He also didn’t realise that Caviar went really well with White Chocolate. Yummy! 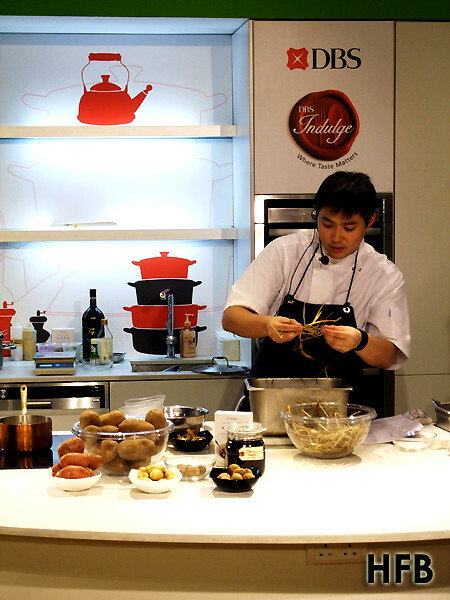 You can look out for upcoming DBS Masterclasses at AFC Studio with Chef Janice Wong of 2am:dessertbar on 20 August, Chef Yong Bing Ngen of Majestic Restaurant on 15 Sep and Chef Tomonori Danzaki of Joël Robuchon Restaurant on 19 Oct. Click here to find out more. Disclaimer: HFB would also like to take this opportunity to thank DBS and AFC for their hospitality.